Before the 61st Grammy Awards finally kicks off, Recording Academy has announced the winners for several categories. 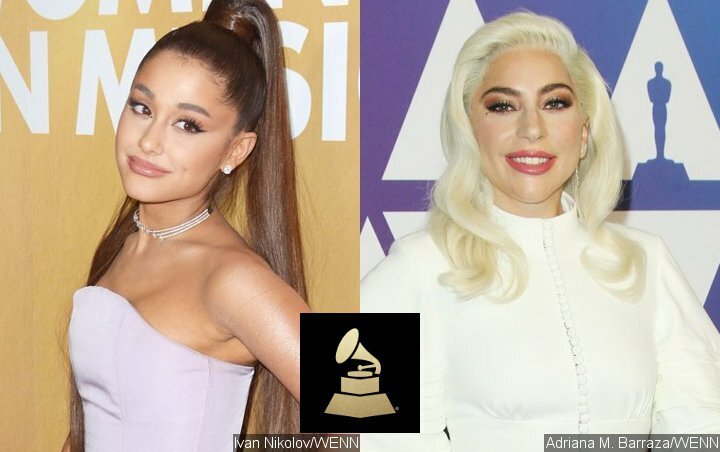 Among them were Lady GaGa and Ariana Grande, the latter of whom nabbed her first ever win at the award-giving show after being nominated six times. On the other hand, GaGa already won two categories. In addition to taking home Best Song Written for Visual Media for her Bradley Cooper hit duet “Shallow”, Mother Monster nabbed Best Pop Solo Performance for “Joanne (Where Do You Think You’re Goin’?)”. GaGa was sentimental when talking about her wins on Twitter, admitting that it brought her to tears. “A Grammy for Joanne is more than me & my family could ever dream of. I sang that version in one take, & poured my entire life & soul into it. Thank you so much for this gift I am completely shocked. 2 Grammy win of the night I am so overwhelmed by this kindness,” she said on the micro-blogging site. Other early winners which were announced prior to the live broadcast included The Carters (Beyonce Knowles and Jay-Z), Kendrick Lamar and Childish Gambino a.k.a. Donald Glover. While the power couple notched Best Urban Contemporary Album for “Everything Is Love”, the Pulitzer winner brought home Best Rap Performance for “King’s Dead” which featured Jay Rock, Future and James Blake. On the other hand, the “Atlanta” creator won Best Rap/Sung Performance for his hit “This Is America”. Hosted by Alicia Keys, the 61 Grammy Awards will be broadcast live from the Staples Center in Los Angeles on CBS on Sunday, February 10. Kendrick leads the nominations with eight nods, followed by Drake with seven.